The Official Facebook Page of Landmark Theatres' Keystone Art Cinema. 7 Screens. Built in 2005. Operated by Landmark since 2005. 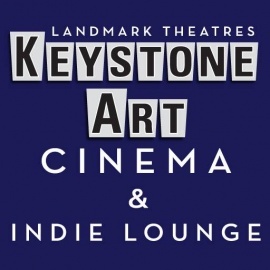 Landmark's Keystone Art Cinema & Indie Lounge features seven state-of-the-art auditoriums that dynamically present a wide array of movies, from independent and foreign language films to documentaries, restored classics and non-traditional studio fare. It is situated in the Fashion Mall at Keystone, located at the intersection of 86th Street and Keystone Avenue in Indianapolis. 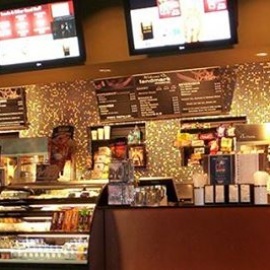 The theatre offers gourmet concessions and is equipped with both conventional and digital projectors, stadium-style seating and Dolby Digital sound. The complex utilizes best-in-class professional Klipsch speakers to give audiences the best in cinema presentation. In fact, it is the most technologically-advanced Landmark Theatre location to date. The full-service Indie Lounge features plasma televisions and allows moviegoers to take their drinks into the auditoriums. The Indie Lounge is also available for corporate and private events, from champagne receptions to intimate parties.